For other phone models check out SuperOneClick , do the required stuff and return here for further instructions on how to download those luring apps which are not available in your country. Before trying out this method please check out following posts on how to download other market apps onto your Andoird, If none of them works for you, then follow the steps mentioned below. Please also note that this method will root your device. (In case you do not know what rooting is check out Rooting Android on Wikipedia and the given sources on that page). Do not worry at this point, because everything mentioned here is reversible, you can Un-root your device again and get your original market running easily on it. Although as some say your warranty may be void if you root your device but it is completely legal. 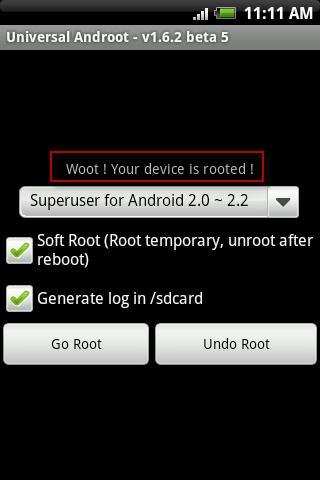 STEP 4: Check the box Soft Root which allows you to Un-Root your device again when you reboot. Also select the checkbox Generate log in SD card, so that if something does not work the details will be logged in. STEP 5: All set now! Hit the Go Root button and wait for the process to finish. This will take around 20 sec depending upon device hardware. STEP 6: After the process is over you’ll get the text “Woot! 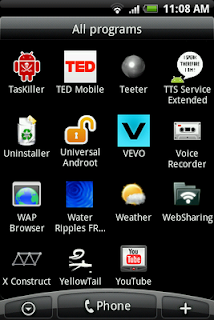 Your device is rooted!”. Congratulations on rooting your Android. Now your device can do more what it used to do before. 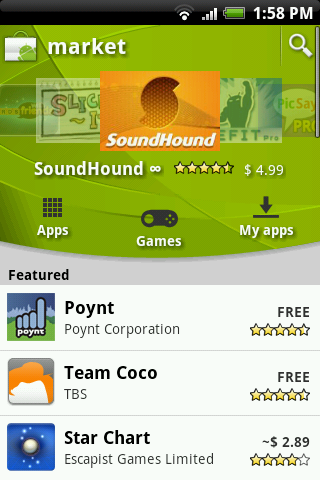 You’ve just now given a second life to your Android! STEP 8: Open Market Enabler and Click Save Current Settings, This will allow you to switch back to your existing market. STEP 9: Now click on Settings list, in the menu bar at the top. STEP 10: You’ll see a list of available providers such as US T-Mobile, Verizon and more. Now to apply other market long press on a provider name you’ll get a menu. STEP 12: After completion of its process you’ll get a notification message that all is set and done. Now fire up Android Market on your device and you’ll find all those apps you had been searching for. I have also read that this method allows users to also purchase paid apps which are not available in their country. If someone tries it out after reading this please report it so that others may also get benefited. Please do add comments if you got it working on your device, please also add details about your phone so that others may find it helpful.